Uncommon is sort of a funny word—not common, unusual—that I chose to describe my Mother-Daughter Wisdom collections. I guess the most unusual part is probably the form that I used: short, succinct dialogues between an unnamed, nonspecific age-period Mother and Daughter. “Why do I feel one way toward my Destiny now, and the next day another?” asked the Daughter, perplexed. Perhaps simply to talk about Meaning in everyday life is Uncommon in itself. Yet all of our day-to-day experiences with those closest to us are continually teaching us something—and if it is Uncommon to make those implicit lessons explicit—here’s to Uncommon discourse. But I’m aware too of the irony in the adjective Uncommon. In a sense, this homespun wisdom is extremely common, in that it is “struck up” (to change the metaphor) all the time between many individuals—like matches being mutually lit by flinty contact. I just chose to mark some instances of its creation and pass it on. 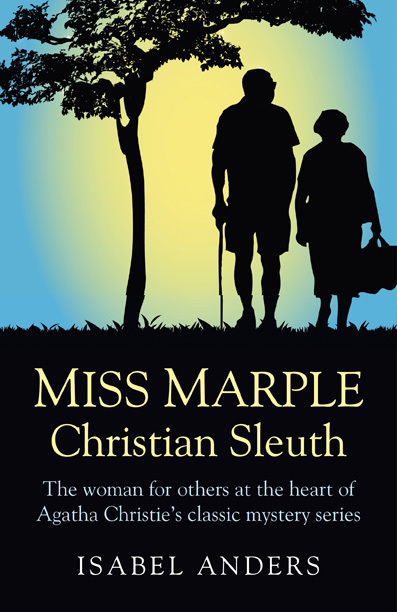 And I’ve also had the privilege of writing about the Uncommon life and “career” of the fictional Miss Marple, based on a study of the Agatha Christie texts and the spiritual themes that emerged—in my new book Miss Marple: Christian Sleuth (just released!). “Frankly, he was an odious man. Anybody might have done it,” admits the housekeeper. Miss Marple’s mission is one of mercy and of duty, which becomes clear after the Fortescues’ housemaid Gladys, whom Miss Marple herself once employed, becomes a victim as well. “It’s uncommonly good of you to have come here, Miss Marple,” Inspector Neele was gracious when he saw “the mild, earnest face of the old lady” who had come to help solve the crime. If these studies help us to see how the Uncommon is threaded through the common experiences—especially of women—I think the adjective is more than fulfilled. Mark Twain once quipped that “If you tell the truth you don’t have to remember anything.” A bit of an exaggeration, but close to the Truth! Personally siding with Truth is simply a cleaner, less cluttered and more authentically human way to live. Not to mention, a Christian virtue. Jesus said that “If you continue in my word … you will know the truth, and the truth will make you free” (Jn. 8:32). Jesus himself embodied the highest Truth—living it, proclaiming it, calling others to its standards. For those who heed the call, it is possible to grow in becoming Jesus’ light and justice in the world. But when individuals choose to oppose Truth, the opposite of freedom results; they experience the stranglehold of deceit, and sometimes even death. Miss Marple’s creator herself, Agatha Christie, wrote that, “Truth, however bitter, can be accepted, and woven into a design for living.” This is certainly true in the many mystery stories in which Miss Marple not only sides with Truth, following her Christian conscience and sense of duty, but seems to become one with a drive for justice. Through her efforts, she herself becomes woven into the pattern that will eventually bring the case to a fair and just conclusion. How does she do this? In the most personal and individual of ways: by being herself, a person with the highest ideals who prays, works, and, as much as possible, seeks to align her will with God’s will. She is not afraid to put strenuous demands on her own time, her personal energies, and her available resources. And she turns her decision-making faculties over to this force for good, as well. In this season of desperate longing for “peace, goodwill” toward all peoples, we look to the coming of Christ, and pray that we may, by “speaking the truth in love … grow up in every way into him” (Eph. 4:15). The ambiguity of poetic language has rich implications for spirituality. Not only does it invite our response, it requires it in order for us to make meaning out of images—for instance, of the lion and lamb, or the camel going through the eye of the needle. Although Jesus’ parables are not poetry, and the language of Paul is mainly exhortation, yet these ways of communicating, as well as the images and paradoxes they employed, were very much in line with the Hebrew tradition of “both/and”—a stretching of the poetic shoe to fit the foot that needed it. The rabbinic method of questions and answers, a dialectic that probes deeper not only into the subject, but into those taking part in the dialogue, adds a dimension of sharing the lively Word that can be lost if we lean only on straightforward fact. 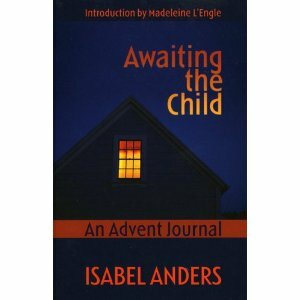 The season of Advent is surely wrapped in both image and event. The birth of a child to Mary and Joseph is an interesting story. But the images, the mystery, the promises, the human responses … all are necessary for us to make sense of it and enter it. In Scripture, centuries of ambiguity and poetry come to rest in a fact—a birth, the particularity in face and form of a boy child, arriving on a specific day in the fullness of time, son of a maiden, protected by an earthly father. At the Incarnation, the event of God-with-us, the images are concrete, at one with the birth. There shall come forth a shoot from the stump of Jesse, and a branch shall grow out of his roots (Isaiah 11:1). In this season we look for the wholeness that can accommodate the mix of many things going on—images of truth that flash before us and then disappear; events that cannot yet be interpreted in the flux of time. It is faith in the redemptiveness of daily life that holds us in this tension of belief. —Excerpt from Awaiting the Child: An Advent Journal. Then Mom ceremoniously brought in their own “Boar’s Head” on a festive platter—the largest in the house. It wasn’t the main course, which was lamb stew. But what a dessert the boar’s “head” made! It was actually half a large pineapple without leaves, cut down the middle with the core removed, and set on a plate with the rind side up. Brie and Mom had cubed the other half of the pineapple and stuck pieces on protruding toothpicks atop the rind—a beautiful presentation, with each piece of pineapple topped by a cube of cheese and a black olive. The boar’s “bristles” were impressive indeed! At one end the golden fruit was dressed with two cherries for eyes and an apple slice mouth. A piece of curly wire made the tail. After they had eaten all the bristles, there was more fruit underneath. Tell that sin is o’er. Excerpt from Twelfth Day by Isabel Anders. I LOVE the word Sensibility—its lovely ambiguity probably initially occurring to me decades ago, the first time I read Jane Austen’s Sense and Sensibility. It can mean simply “having good sense” or sound judgment; OR it can carry the deliciously fine suggestion of definition 2: “The ability to appreciate and respond to complex emotional or aesthetic influences; sensitivity.” That puts it in close proximity to “style” and intelligent discernment—a refined sensitivity based on experience. Though, as is obvious with all these tentacles attached to it, the word remains difficult to pin down—yet it is surely a desirable trait to work toward, gradually and relentlessly. S is for Sensibility—and just as naturally, I can say that reading with practiced discernment, developing an ear for fineness of distinction in phrasing and wit, is at least one path to its realization. I was told early in my career as a writer that the best method for developing one’s own style was to read the greats, fill our minds with the felicitousness of finely tuned thinking and expression. Like gazing at a statue (or role model) one aspires to resemble, or practicing a musical or artistic technique one wants to emulate, it is a slow but well-supported method for achieving a style of one’s own. Last week in an interview a radio host asked me if I thought the world at large had slipped beyond hope (I forget the exact wording) … and I’m not very good at coming up with profound answers on the spot. But based on the mood of our genial exchange about Miss Marple: Christian Sleuth, the book I was explaining to him, I had to say No. It’s not too late. I felt wrapped in the energy of reaching out across barriers of time and space—and a surge of unanticipated grace in the moment. I said something about perceiving sparks of connection being passed or shared, person to person, that give me hope that all is not lost. In my mind’s eye, these were nearly visible: convictions that a candle flame loses nothing by passing on its fire to another candle. I wasn’t thinking of our imminent celebration of Advent One, just days away. But it is no surprise that such concepts are hidden deep within me after years of exposure to Christian thought and worship. 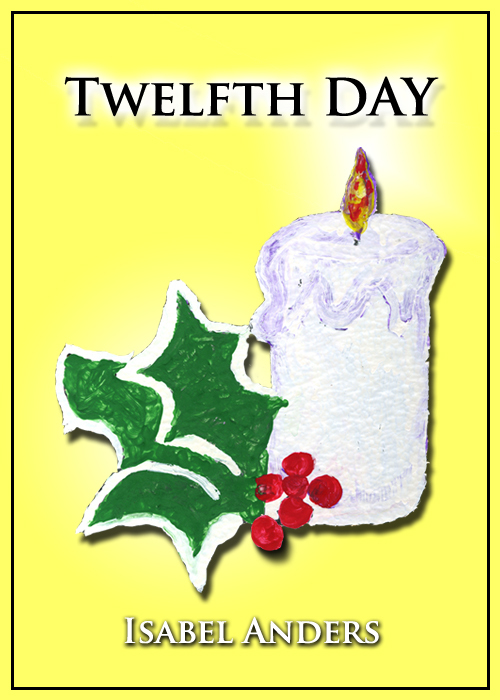 Now today is the first Sunday in Advent, the beginning of the Christian Year … and I feel these stirrings of hope again in homey, tangible ways as we have lit the first candle on our Advent wreath. Through the years, the church’s liturgical seasons have received me and enveloped me, until it is now impossible to imagine my journey without its recurring cycles and their various lessons, small and profound. Every year the experience is different, and I find myself absorbing the same texts of Scripture but from a new vantage point. This year, when we will not be traveling to visit family, but will celebrate with our local worship community, I find myself going within for solace. I do anticipate the sparks of joy that will be passed among us, in a year without the scenario of our small family circle around a fireplace and the incomparable hugs of my adult children. But every year has its parameters (as does the wreath itself)—and its gifts, the designed and the unexpected. And each of us plays our part when the time comes. “O Christmas Sun! What holy task is thine! To fold a world in the embrace of God!” —Guy Wetmore Carryl. In these early Advent weeks we are still adjusting to shorter days with darkness descending about the time we gather for our evening meal. The spot of candlelight on our table helps to dispel the gloom of encroaching night. Yet even with just the two of us, there is communion and warmth, sharing of our day’s events, rejoicing in each other’s company through the waning days. So I think my answer to the interviewer tapped deeply into what I truly believe about our human dilemma, our seeming aloneness, our grasping at threads of understanding and acceptance of each other. There IS hope, and we hold it in our own hands and hearts. It is up to us to activate it. So, though only one candle has been lit on our little wreath for now, I still remember the sun as we await the Son—and can return to my tasks and rests and understandings in its Light.